Durham is a wise, tranquil county with a lot of stories to tell. 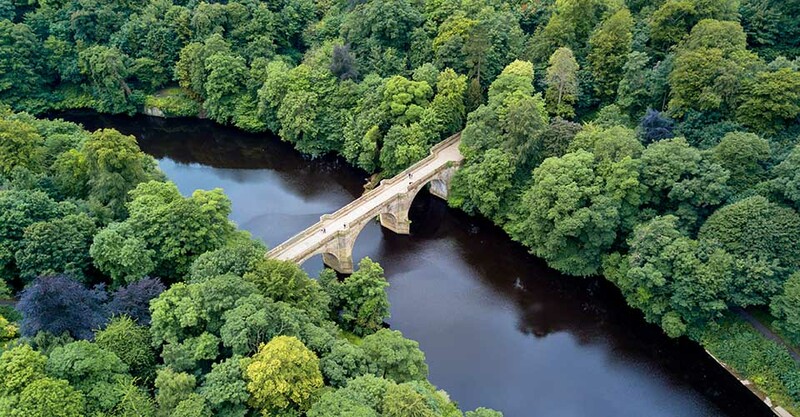 Populated with beautiful historic buildings and furnished with dense trees reflecting in the River Wear. 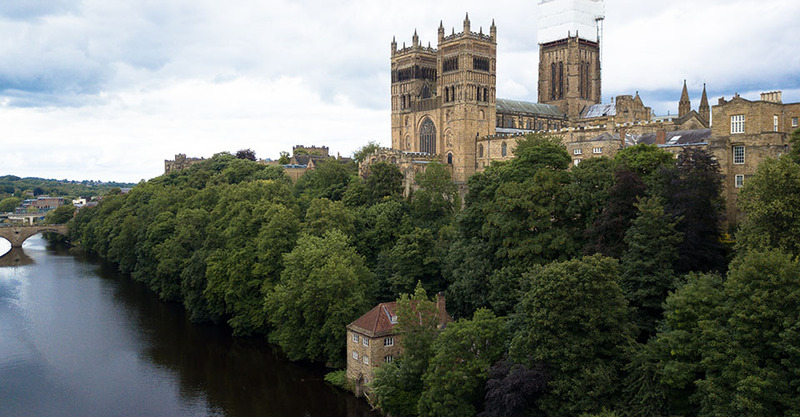 With plenty of areas to explore and an array of things to do in Durham, you’re sure to enjoy your time here. Durham is home to a UNESCO World Heritage Site, comprising of Durham Cathedral, Durham Castle, and the buildings between them along Palace Green. This area is considered to have Outstanding Universal Value due to its architectural importance. The Castle and the Cathedral are monuments of the Norman Conquest of Britain, and Durham Cathedral is recognised as one of the finest examples of Norman architecture in Europe. Harry Potter fans should make time to visit Durham Cathedral. It was used as a filming location for both interior and exterior shots of Hogwarts for three of the Harry Potter films, so it’s the perfect excuse to bore everyone with your ridiculously in-depth knowledge of all things Harry Potter. The Cathedral’s Undercroft Foyer houses an accurate scale representation of Durham Cathedral, created using over 300,000 LEGO bricks. It took three years to build; and features intricate details such as lighting and stained-glass windows. Whilst it is incredible to look at, it is likely to put anything you have ever created from LEGO to shame! The River Wear runs around the Cathedral, making the grassy river bank an ideal picnic spot on a sunny day. After lunch, set off on one of the orienteering trails or try the self-guided Geology trail. Visit the Cathedral Shop or Visitor Desk for details of the trails. Part of Durham University, the Oriental Museum was opened in 1960 by Professor Thacker to help students at the University understand the cultures behind the languages they were studying. Spanning four floors, the Oriental Museum houses over 33,000 objects – including collections from China, Egypt, Himalayas & Central Asia, India & South Asia, Japan, Korea, Near & Middle East, and South East Asia. There are regular events at the Oriental Museum, such as lectures, workshops, and family activities. If you are visiting with younger children, a good time to go is on Wednesday mornings, when there is a group for under 5s called Little Dragons. Open to the public throughout the year, the Botanic Garden is a nice way to introduce children to the idea of art, in an environment that is child-friendly. Instead of taking the kids to an art gallery and making them walk round quietly without touching anything, let them explore the woodland and discover unexpected artwork for themselves. Hidden along the pathways amongst the trees and plants, there are several sculptures and pieces of art to stumble across as you walk through the gardens. Don’t be fooled by the name. Palace Green Library is not a regular library. For one thing, it is huge. Consisting of several buildings that each house an individual library or archive collection, you could easily spend a day exploring each building. Originally founded for use as a public library in the 17th Century, Palace Green was then used as the University’s main library for 150 years. Now serving as a home for archives and special collections, Palace Green Library is open to the public and well worth a visit. Known as the Living Museum of the North, the Beamish Museum is an open-air museum that shows you first hand what it was like to live in the north east of England during the 1820s, 1910s, and 1940s. The museum takes the form of re-created versions of towns from the 1900s and 1820s, and a 1940s style farm. 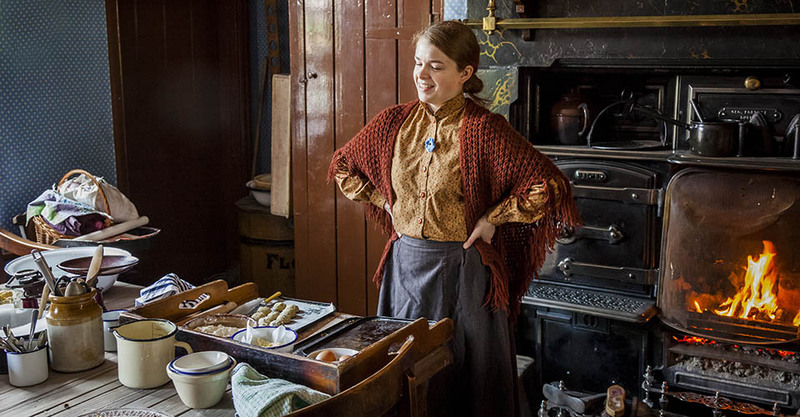 ‘Residents’ wearing traditional clothes will carry out everyday activities such as cooking using an Aga, listening to 1940s music and news broadcasts on the wireless, and climbing aboard a steam train. Chat to them or get involved in some of their activities to learn more about what everyday life was like in this area of England during different historical time periods. 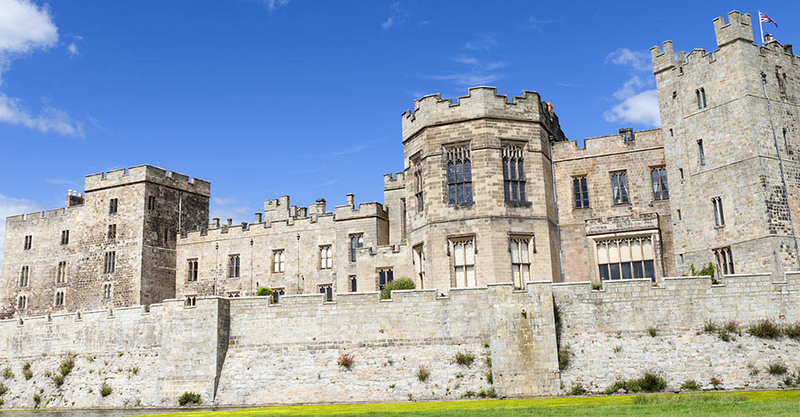 From the outside, Raby Castle commands attention with a hard exterior of impressive Medieval turrets and towers. But from the inside, the castle has a warmer feel. Decorated in deep colours, carved dark wood, and heavy fabrics, it manages to strike a balance between being regal and homely. Considering it is such a large structure, it feels almost cosy. The interior design features aspects of Medieval, Victorian, and Regency design in reds, golds, greens, and browns, and rooms are adorned with artwork such as textiles, sculptures, and historical paintings. There is a lot to take in when you enter the castle, so it may be worth considering a Guided Tour. Tours are given on a first come – first served basis, and the castle is only open during set times of the year, so make sure you check the opening times before visiting to avoid disappointment. After touring the castle, have a break in the Tea Rooms before browsing the gift shop. If the weather is good, you can hire a bike to explore the grounds. 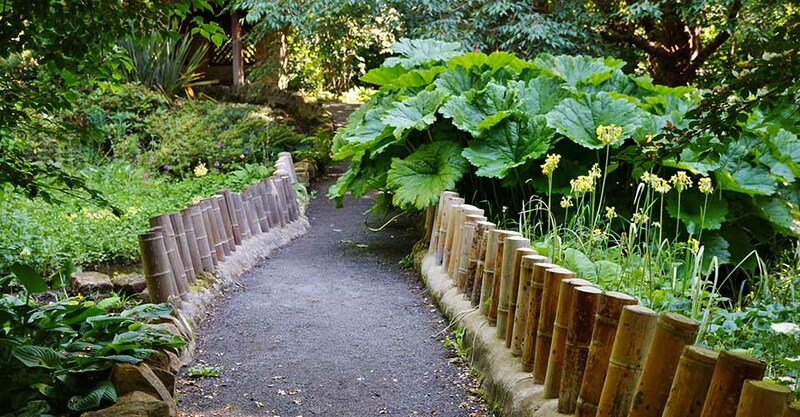 If you are visiting with kids you will want to head to the Woodland Play Area, where there is a zip wire and obstacle course; or if you are visiting on your own or with adults then the Walled Garden is a beautiful place to spend some quiet time. Durham has theme parks to suit all kinds of unpredictable English weather. If you are lucky enough to visit on a sunny day, the Beamish Wild Adventure Park is a great way to spend some time outdoors. The Beamish Wild Adventure Park features a High Ropes treetop course including zip wires, swinging tyres, and rope bridges for an exhilarating day out, or try your hand at archery – you never know, you might just uncover a hidden skill. Diggerland is a dream day out for rough and tumble kids, with experiences including driving a JCB digger, a dumper truck, a mini tractor, or a mini Land Rover. Challenge them to a race on the Go Karts or let them loose in the Indoor Soft Play area. When you need a break you can chill out in the Café or have a browse in the Gift Shop. If weather is not what you had hoped, you can still spend a day out at Adventure Valley in Brasside. The Indoor Play Town is a great place for children to burn off some energy on slides, tunnels, and scramble nets. There is also a special play area for under 5s, and there is a Roller Disco for older children on the weekends. Cowboy themed ‘Wild West Play Time’ contains has two levels, filled with things like ball cannons to fire and ball fountains to dodge. If the weather improves then you can make the most of the outdoor activities such as tractor rides, giant slides, adventure golf, and go-karts. Or meet the animals including Micro Pigs, Rabbits, Geckos, Chipmunks, Pygmy Goats, Snakes, and Shetland Ponies. For a small charge, you can experience the Owl Encounter, Meet The Minibeasts, or try Pony Grooming. And adults will be happy to learn about Café Italia, the on-site café where you can top up your caffeine levels and have a bite to eat. Durham Museum is a Grade I listed building near Durham city centre. It aims to paint a picture of life, labour, and leisure throughout Durham’s history. See a reconstruction of a Victorian prison cell, view the detailed model of Durham’s market place in the 1820s, or visit the garden outside the museum to see sculptures by local artist, Fenwick Lawson. Dragonflies is a family play centre suitable for babies up to children aged 8 years old. Open 7 days a week, the play centre includes a soft play area, as well as opportunities for messy play, role play, singalongs, and sensory play. There is also a Café serving homemade hot and cold food, so if you have younger kids, it is a great place to spend a relaxed morning or afternoon. Colourful Chameleons is a creative activity suitable for adults as well as children. Pick out something you like from their selection of blank ceramics, order yourself a hot drink and a snack, and prepare to paint your masterpiece. Once your design is complete, the staff will fire it for you so that it is food safe. Then you are free to show it off and finally get the recognition you deserve for your artistic prowess. Crook Hall is a Medieval Manor built around 1217. Situated in the grounds of 5 acres of gardens, it regularly hosts events and exhibitions. Crook Hall has several gardens, each with its own theme. 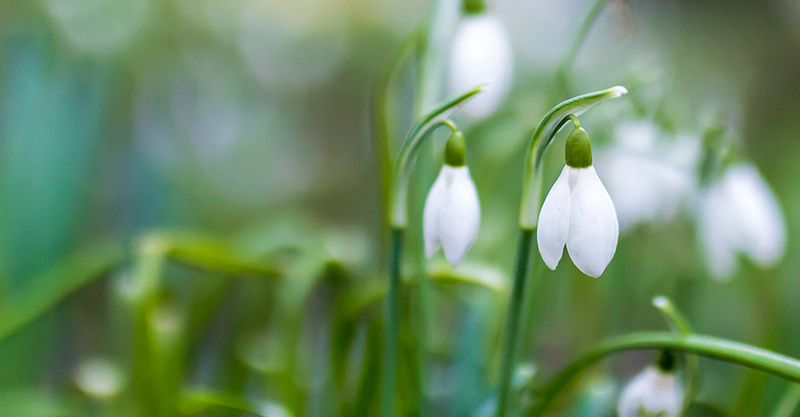 Our favourites include the Secret Walled Garden, the Shakespeare Garden, and the Silver and White Garden. The Secret Walled Garden was originally intended for use as a vegetable garden for the house. Today you can still view the pear trees that were planted to ward off evil spirits, but the garden has evolved from vegetables to a traditional English garden, featuring roses and magnolia trees. The Shakespeare Garden has a whimsical feel and features plants which were popular during Shakespeare’s time, as well as a statue of Shakespeare. The Silver and White Garden is a testament to modern romance. Created by the previous owners, Dr and Mrs Hawgood, to celebrate their silver wedding anniversary, it features silver tones and white flowers such as snowdrops, white tulips, and pansies. The perfect place to sit, relax, and soak up the romance. Whatever your reason for visiting the beautiful county, you’ll never be at a loss for things to do in Durham.